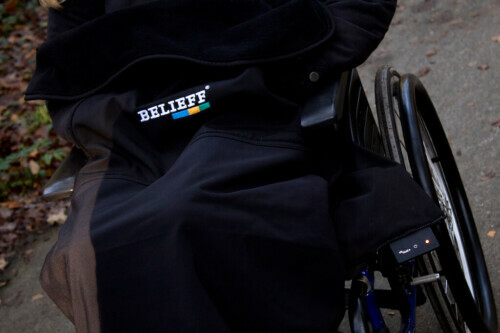 The wheelchair blanket is ideal for keeping warm during cold (er) days when you go outside with your wheelchair. 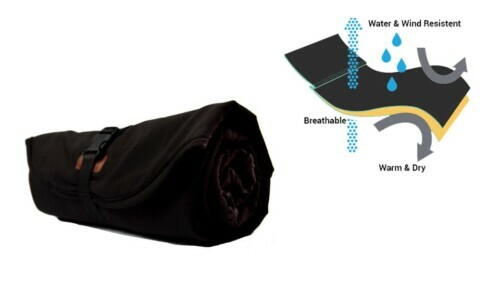 The wheelchair blanket consists of softshell on the outside, which is wind- and waterproof, breathable and elastic. 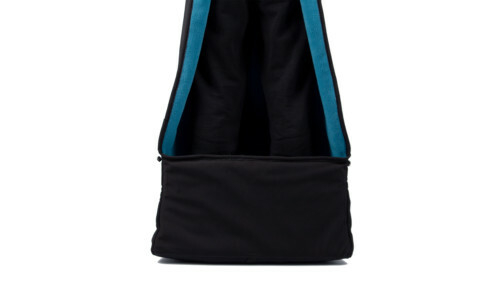 The inside is lined with fleece which is pleasantly warm and soft. The insulated footmuff makes these blankets unique! 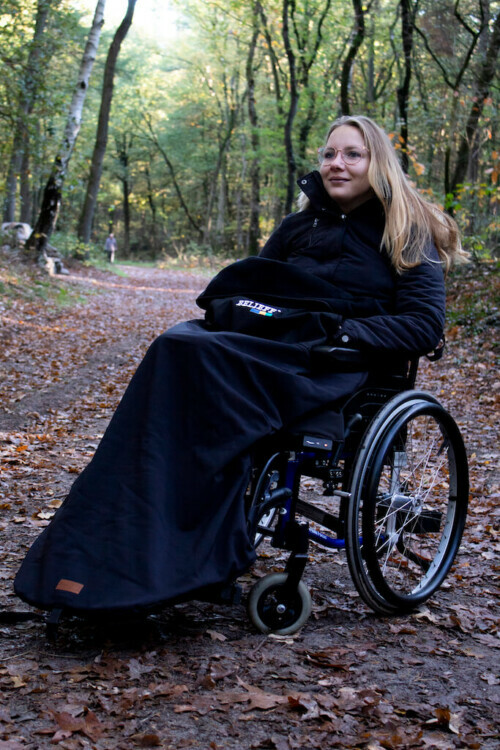 The design of the wheelchair blanket is adapted for users of a wheelchair. This makes it easy to attract. Put your feet in the footmuff which is insulated. It is not necessary to take off shoes or shoes, because the inside, where you place your feet with softshell, is water and dirt repellent. Then pull the rest of the blanket upwards so that your legs and upper body are covered. 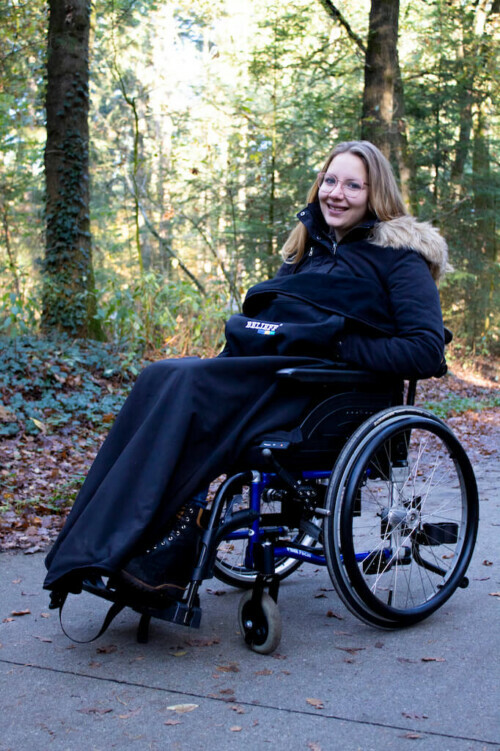 The blanket will conform well to your body and will therefore not get in the way, for example if you move your wheelchair by turning the hoops of the wheels. If desired, you can tap the footmuff so that it fits even better. You can roll up the wheelchair blanket to a small package and snap it into place with the attached strap. With this you also hang it on your wheelchair. 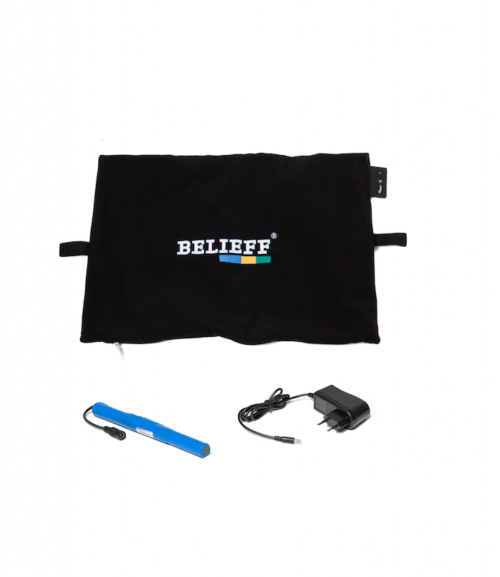 This way you can easily take the wheelchair blanket with you when you are not using it, so you are always prepared for cold or rain. 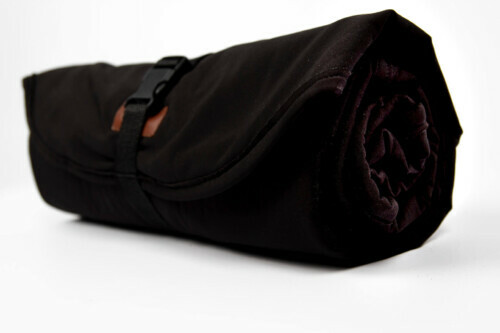 The wheelchair blankets come standard in the color black or burgundy red. In addition to the color offer, it is also possible to have the blanket printed with, for example, your name or a company logo. You can easily clean the outside and the inside of the footmuff with a cloth. The wheelchair blanket is also suitable for the washing machine. You wash it safely at 30 degrees. Not suitable for the dryer. Ordered Tuesday and delivered already! Super service and super warm blissful wheelchair cover !! Can already be tested today and it is waterproof!